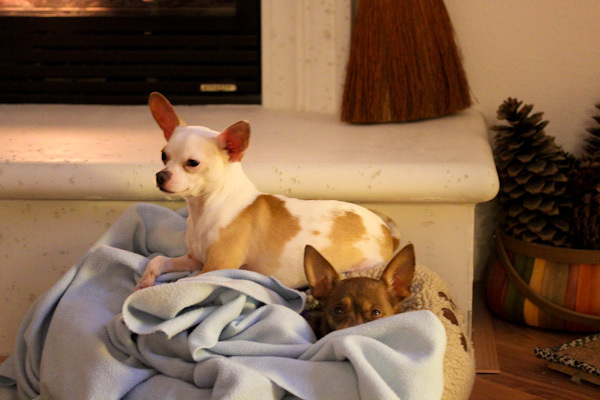 Yesterday was a long and stressful day for both Leela, one of our chihuahuas, and I. I knew this has been coming for awhile and trying to avoid it, but Leela has bad teeth. She’s never liked crunchy, teeth cleaning treats and refuses to eat dry dog food or any food that’s supposed to be good for dogs’ teeth. And has a thing about letting anyone near her mouth since the day we adopted her from a rescue shelter. So I took matters into my own hands getting a dog teeth cleaning kit to clean them myself. That wasn’t happening. She won’t let me get anywhere near her teeth for more than a nanosecond. I broke down and scheduled her for a vet teeth cleaning under anesthesia which I was terrified to do. But it was needed for her health since all home attempts to care for her teeth weren’t working. She spent all day yesterday at the vet while I worried about her at work. Luckily everything went okay and she doesn’t seem too traumatized, but was very groggy when I brought her home and plunked her into her favorite bed. Miko seemed to know something was wrong with her and insisted on cuddling up to her. Poor Leela was too out-of-it to pull her usual growling routine at him. Even though his bed was empty and he kept falling off the edge of hers, he would not leave her side. So sweet that he could sense her discomfort and knew when to be a supportive and protective buddy. It was also a traumatizing day for me, worrying about her alone at a vet scared and praying everything goes smoothy took an exhausting toll. 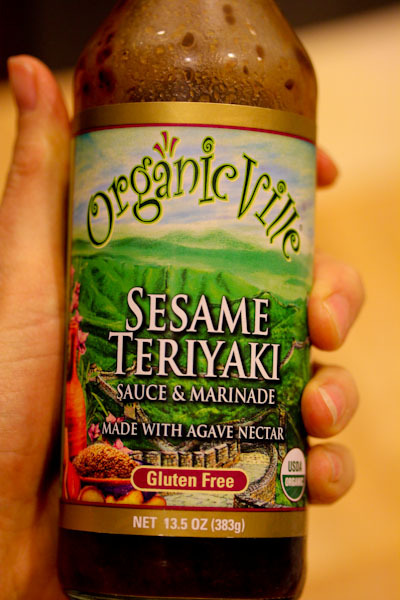 I was very relieved to pick up a healthy dog with pearly whites and having an easy and healthy dinner to prepare at home using a Whole Foods impulse buy – Organicville Sesame Teriyaki Sauce and Marinade. I started marinating tofu chunks in it the night before. 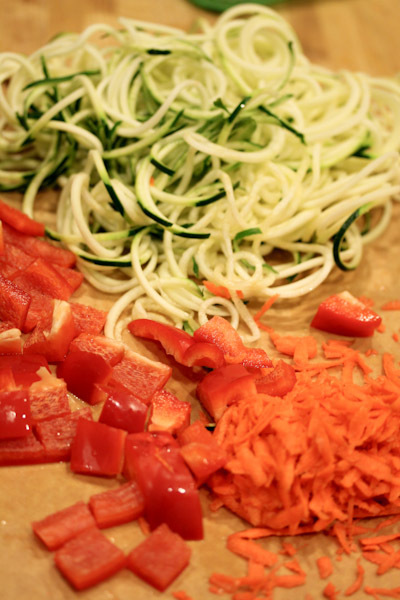 And spiral sliced a zucchini to stir fry with the tofu and other veggies. 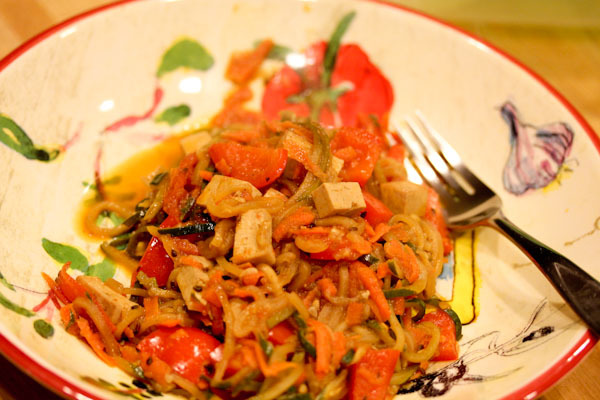 I took a walk on the wild side adding chopped tomatoes to the skillet unsure how they’d work with the teriyaki flavors. But they worked amazingly well surprisingly, the slightly sweet tomatoes complimented the tangy and sweet marinade. 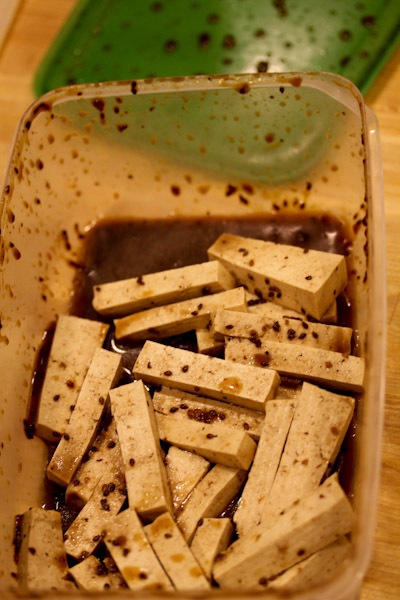 And the sauce is a wonderful marinade for tofu adding a nice sweet and tangy flavor throughout the chunks. I’m looking forward to trying other vegan sauces and marinades from Organicville in the future, but looking forward to sleeping in tomorrow more! TGIF! 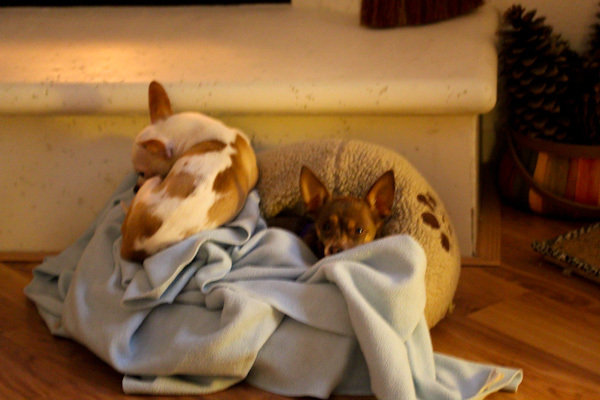 Aw, sweet Leela, hope she’s back to herself today — and sweet Miko for taking care of sissy! Don’t you love that? 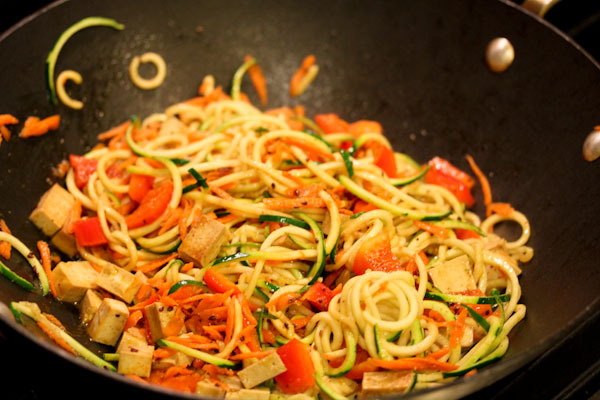 Perfect marinade, love the zuke noodles and the red peppers…and poor Leela. 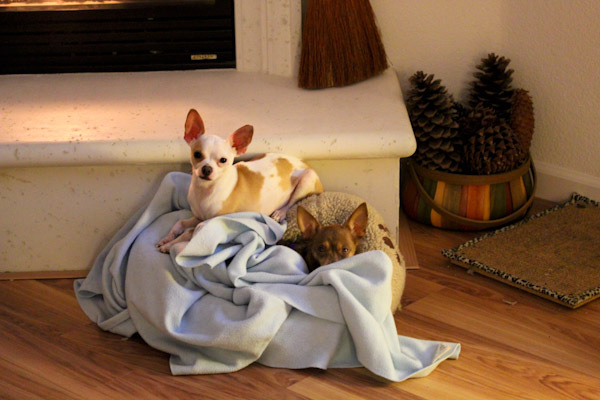 My small dogs HATED getting their teeth tended to and they REALLY needed it…and it was not easy, at all, to take care of their teeth b/c it was such a power struggle so we had to take them to the vet and they took care of the teeth b/c it was too challenging at home. I feel for you! Awwww! Poor dog. Glad it all went well though and you can rest easy now. Poor Leela. So sweet of Miko to take on the role of protective big brother. Sorry you had such a stressful day while she was at the vet. My greyhound boy had 2 surgical procedures on his feet the first year that he came to live with me, and I spent both days in a muck sweat of anxiety. I don’t know if you can get it in the States, but there is a great product to prevent plaque forming on teeth, called Proden Plaque Off. It is a natural product, a seaweed, which you add to their food, and which cleans existing plaque off their teeth and stops new plaque forming. It takes a while to work – a month or more – but worked a treat on my grey boy, and now means that the days of tussling with a toothbrush and bleeding gums are over, thankfully! I hope Leela feels better soon and is soon back on form and ruling the roost.